While your earning is in safe hands, we hope it grows securely. Choose Saraswat Bank’s Fixed Deposit schemes that come handy with suitable tenures and attractive interest rates. Savings has been an essential part of all the earnings, we at Saraswat Bank, help you earn more on your savings by offering savings schemes which come with suitable tenures and attractive interest rates. 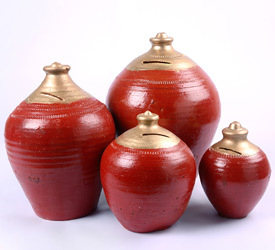 A term deposit is an Interest Payout savings scheme which offers interest at half yearly, quarterly and monthly basis. A unique scheme that adds up the interest earned at the end of every quarter to the principal amount, so that you can reap the most of what you invest. TDS applicable Form 15H/15G required to be submitted for exemption of TDS. Nominal member of the bank will also be exempted from TDS. If you are exempt from paying tax, you need to present Form 15H when you open a Fixed Deposit and subsequently at the beginning of the following financial year. A minimum amount of Rs. 1000/- and a further rise in multiples of Rs. 100/- is required to open Term Deposits Account. Deposits under this scheme will be accepted for a period of above 12-months up to 36-months only. Individuals (singly or jointly), Minor by guardian, Organizations, Co-op. Societies.